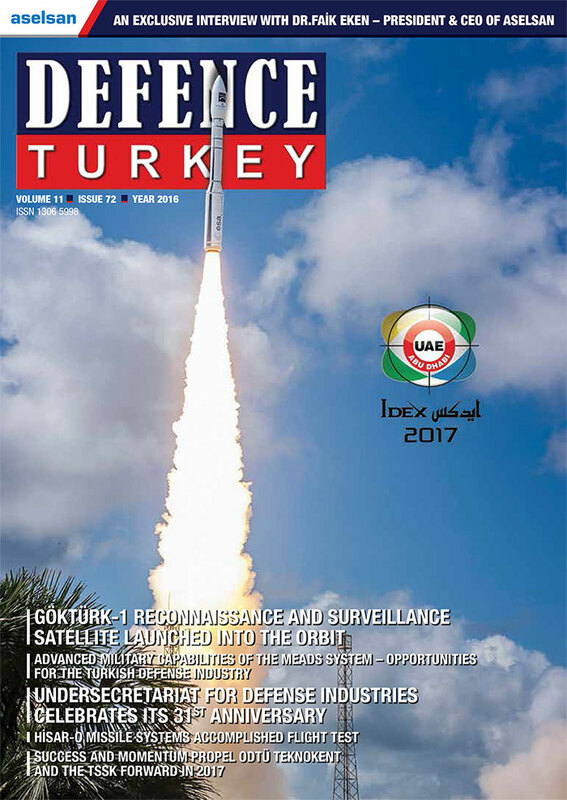 Avenue EV, drawing attention with its environmental and innovative features, was launched with the participation of the Minister of Science, Industry and Technology Dr. Faruk Özlü, Sabancı Holding CEO Mr. Zafer Kurtul, Turkish Armed Forces Foundation General Manager Mr. Orhan Akbaş, Aselsan Vice Chairman Mr. Murat Üçüncü, Sabancı Holding Industry Group Head Mr. Mehmet Hacıkamiloğlu, Temsa General Manager Mr. Dinçer Çelik, General Manager of Aselsan Dr. Faik Eken and Aselsan Deputy Chief Executive Mr. Y. Suat Bengür. Developed from an environmental point of view by taking global requirements into consideration, Avenue EV operates with a sustainable source of energy instead of fossil fuel. With the help of its fast charging feature of reaching full charge capacity in 8 minutes, it provides continuous service with brief charges during stops. This environmentally friendly high performance bus with an electric traction system and zero carbon emissions is at the same time quiet, comfortable and equipped with state-of-the-art-technology. The passenger cabins offer comfortable travel facilities in both cold and hot weather conditions as well as the option of in-car internet and data connection. Avenue EV is capable of hosting 35 seated, 52 standing and 1 wheelchair passengers. With its large interior volume, Avenue EV is capable of providing high performance services without requiring maintenance for long durations due to the 100 percent domestic, highly efficient and lightweight electric traction system developed by Aselsan. The vehicle is capable of driving for 50-70 km with a single charge. 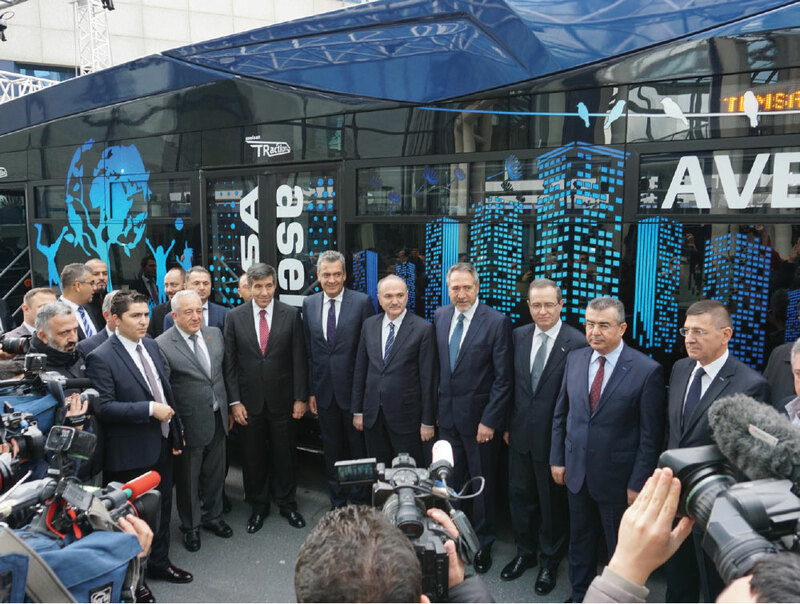 “I am greatly pleased and proud to stand here as the General Manager of a company achieving the production of the first hundred percent domestic electric bus and thus heralding the beginning of a new era in the Turkish automotive industry,” said Temsa General Manager Mr. Dinçer Çelik in the beginning of his remark and continued, “We developed the high performance and new generation Avenue EV with the leading organization of the Turkish Defense Industry Aselsan. The two leading companies worked in great harmony throughout this process. This collaboration will not be limited to the manufacturing of the electric bus; we will continue to develop environmental friendly products for a sustainable world as well”. Mr. Çelik extended information on the prominent features of the Avenue EV. Aselsan Executive Vice President and Transportation Security Directorate of Energy Traffic Automation and Health Systems (UGES) Sector President Mr. Y. Suat Bengür, presented to the guests the details of the new product multi-phase motor and motor drive, vehicle control computer, High Power Distribution Unit DC / DC converter units. Mr. Bengür expressed his satisfaction with the harmony established during the project carried out with Temsa and stated that they plan to work together on other projects where Aselsan traction systems will be used.